Carlow is home to three of Ireland's key national routes. 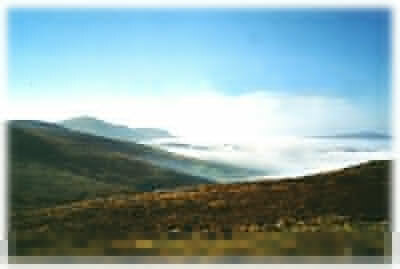 The Wicklow Way, the Leinster Way and the Barrow Way which links with the Slieve Margy Way in Co. Laois. Experienced walkers will enjoy the invigorating challenge of Carlow's way-marked mountain treks, whilst novices will find peace and tranquility on quiet country walks. The walks listed here are just a sample of the many available to the visitor to Co. Carlow. Variety is the great characteristic of this route, which starts in Dublin suburbs, climbs into the foothills of the Wicklow mountains, and switches from glen to glen through dramatic mountains to Aughavannagh. 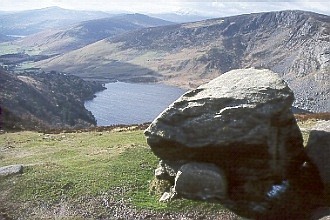 Views of Luggala, Glendalough, and wild Glenmalure eventually give way to lower ground, with sheltered snug farms and tillage land. The stonewalled stronghold of Rathgall, said to be a residence of the Kings of Leinster, and the Mill of Purgatory - a cupboard in Aghowle Church - are amongst the many places of historical interest. The Barrow Way follows the towpath, originally a path alongside the river to allow the pulling of barges or boats for transport. The ground is level throughout and most of the walking is away from the roads passing good farming land where tillage and cattle farming are predominant. There are plenty of small friendly villages where the welcome of the locals is renowned, canoeists to watch as they shoot the weirs and anglers to have a chat with. The Barrow Way allows for sightings of a rich variety of river life - swans, mallard, heron, kingfisher and hen pheasant are regularly to be seen. The path also offers much of architectural interest to the visitor - bridges, many arched, and pretty lock houses, some still in use. Many interesting historical features are also located in close proximity to the river including castles, abbeys, old bridges and derelict mills. This varied trail leads the walker between some very fine lofty summits in County Carlow, and along forest tracks over the northern slopes of Mount Leinster. The trail then drops down into the neat little town of Borris and, from there, follows a towpath along the River Barrow where life sometimes seems to stand still in old world solitude. Graiguenamanagh (the out farm of the monks) soon comes into view, with its graceful 18th century bridge and medieval Abbey Church. Far above the town, Brandon Hill beckons, and then the Nore Valley at Inistioge, an ancient place with a fine bridge and medieval church. 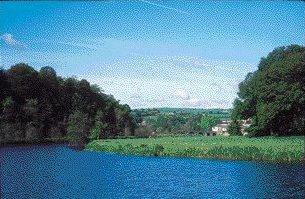 The final section to Carrick-on-Suir crosses wide, lonely uplands, with horizons stretching to Waterford and Tipperary.